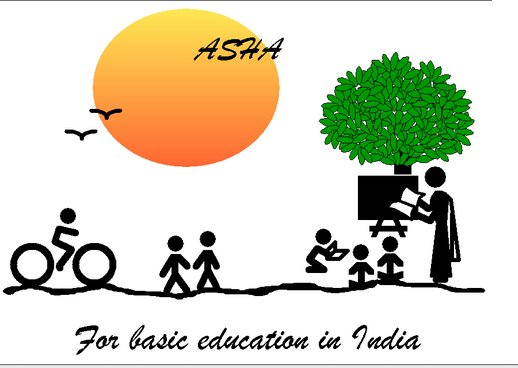 Asha for Education is a non-profit organization dedicated to the support of basic education in India. Asha, which means hope in many Indian dialects, was founded at the University of California, Berkeley in 1991 and has since grown to over 66 chapters scattered throughout the United States, Europe, East Asia and India. Each of these chapters raises funds to support various education-related projects in India. Asha-DC had been an active chapter in the past years but was dormant for 2013 – 14. It is gathering renewed momentum again with inspired members and donors who are reacting to the immense public interest to working with Asha for Education. Our volunteers understand the importance of children’s education and the need to provide such opportunities to the underprivileged kids of India. We always welcome more supporters like you who share the common vision of making Asha’s endeavors a success. The aim of our group is to generate awareness amongst the community covering the Washington DC Metro area in-order to collectively support and provide financial assistance to grassroots educational movements in India. To maximize the chapter’s outreach, the group selects diverse education related projects from various parts of India including rural education, education of girl children, vocational training and non-formal education, education and support for physically/mentally challenged children as well as teacher training programs. All Asha chapters work closely with each other to ensure quality support is provided to educational efforts in India. This is the Project proposals submission and review page for Asha for Education chapters. A public interface for NGOs to submit their proposals is located here . If you wish to redirect a proposal that your chapter has NOT vetted for consideration for all chapters, please redirect them to this form .